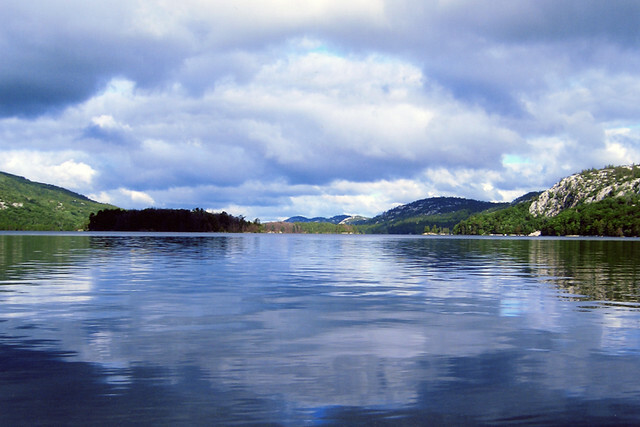 The area has long captivated artists including The Group of Seven’s A.Y. Jackson, Franklin Carmichael and A.J. Casson, so much so, that they persuaded the Ontario government to make it a park. Extensive backcountry canoeing and sea kayaking experiences. Outstanding hiking including the 80 km, looped, La Cloche-Silhouette Trail, as well as cross-country skiing and snowshoeing in winter. George Lake campground, with access to beaches, trails, and canoeing. Historic Village of Killarney, founded in 1820 as a fur trading post on Georgian Bay, 10 km from park and home of the famous Herbert Fisheries fish and chips.